Park officials are absolutely furious in Utah. Here’s why. Tourists are throwing priceless 200 million year old dinosaur tracks into a reservoir at a Utah state park. 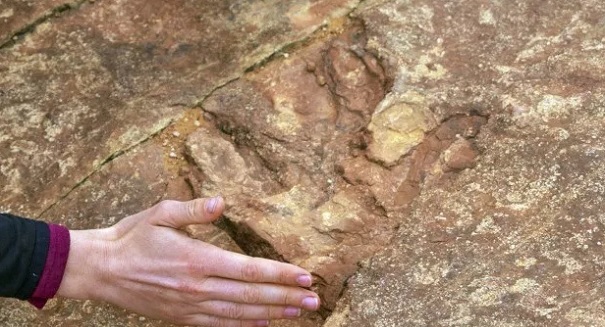 Tourists have been unwittingly tossing chunks of 200 million year old dinosaur tracks into a reservoir at Utah’s Red Fleet State Park, as we reported recently. And besides the obvious, there are some important reasons why this is a big problem for park officials, who are sounding the alarm and erecting signage warning visitors not to touch the valuable tracks. It’s all about the state park’s Dinosaur Trackway, which VisitUtah describes as a “cleverly built trail that crosses sandy washes, ribs of exposed stone, and familiar slickrock.” The rocks there preserve the 200 million year old tracks from the dilophosaurus, a theropod dinosaur that lived about 193 million years ago and was about 23 feet in length and weighed nearly 900 pounds. It was one of the earliest large predatory dinosasurs. So why are these rocks not in a museum, away from the damaging hands of tourists? The state park wants to preserve this section of land as Mohter Nature intended it. The park points out sections of dinosaur tracks, but not overtly so, allowing visitors to discover it on their own. Unfortunately, the recent surge in vandalism has alarmed park officials, raising the question of whether this incredible archaeological site may need to be protected from humans. It would certainly be a disappointing development to future visitors of this amazing site.